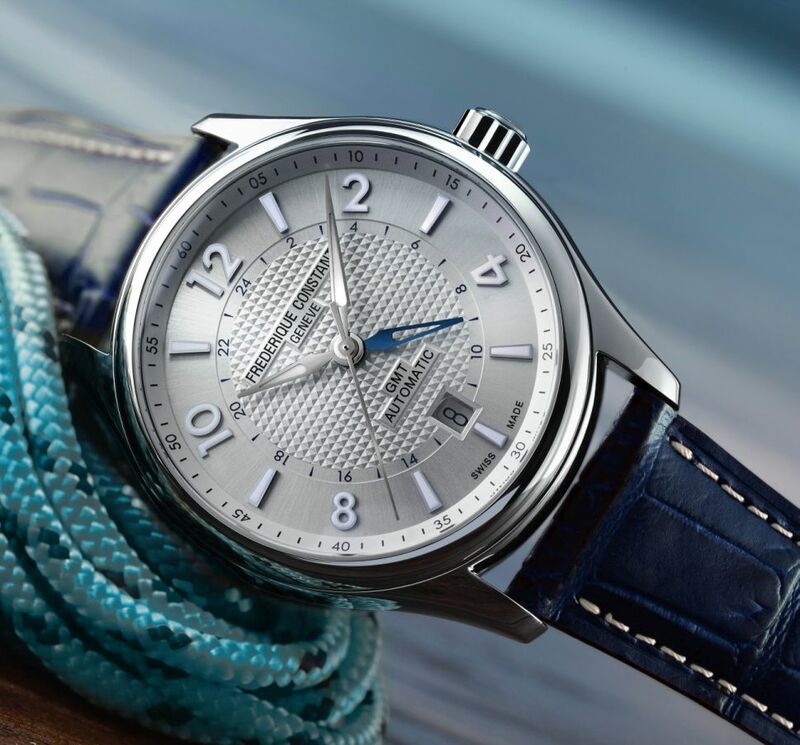 Frederique Constant added a pair of new models to the Runabouts Collection. The brand is collaborating with Riva Boats since 2009 and introduced limited edition timepieces for the brand partnership. The latest model comes in two different versions and limited to 2888 pieces per each. The new series comes in a stainless steel case measuring 42mm in diameter. The front side of the case sports a scratch resistant sapphire crystal while the caseback features the Riva Historical Society logo. The watch is water resistant to 50 meters. 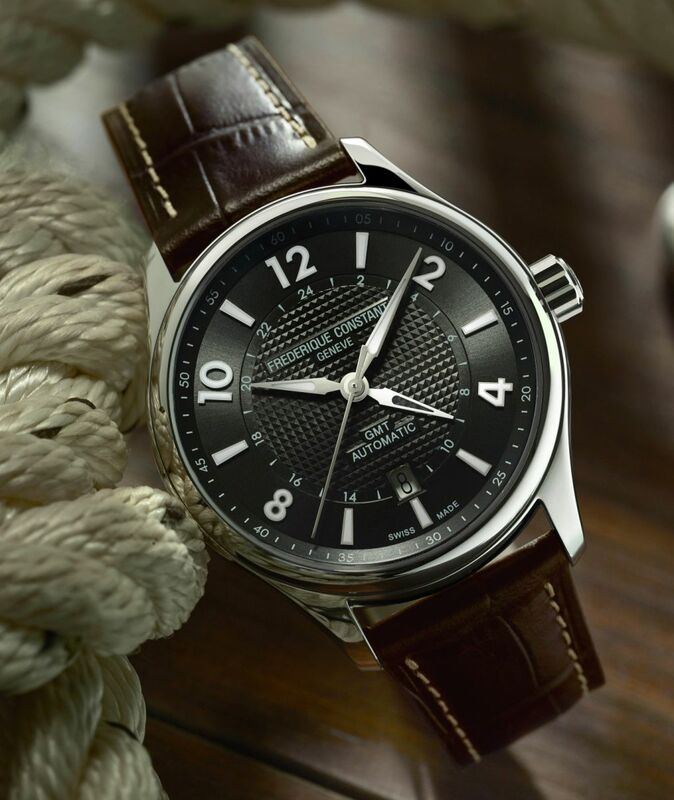 Frederique Constant Runabout Riva comes with two dial colors as silver and black. The hands and indices are SuperLuminova filled for better legibility at dark conditions. The model is powered with the Caliber FC-350. Self-winding movement beats at 4Hz and offers a power reserve of 38 hours. The movement is also equipped with GMT and date function. The new models are offered on leather straps finished in dark blue or brown. The straps are secured with a folding clasp made of stainless steel. As we are familiar from the previous versions, a miniature Runabout Boat is added into the presentation box. The MSRP is $ 1,795 (USA list).